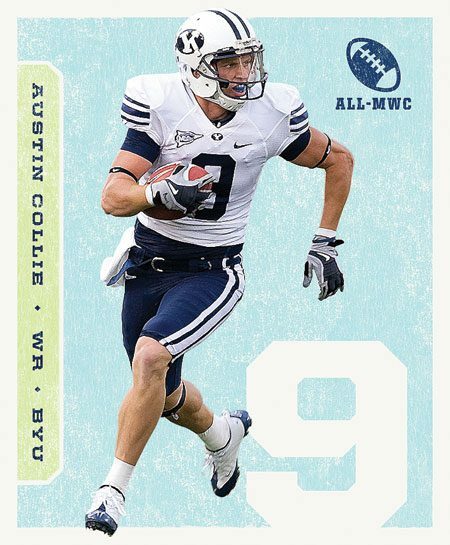 All-American Austin K. Collie (’10)led the NCAA in total yardsreceiving in regular-season play,racking up a total of 1,419 yards. Collie was also no. 1 in receiving yards per game (118.25 yards) and one of 10 finalists for the Biletnikoff Award, which recognizes the top wide receiver in college football. Earning 100 yards or more in 11 consecutive games this season, Collie tied an NCAA receiving record.